Twenty years ago, MarketPro was created with a vision for a better way to provide businesses in need of marketing expertise with top talent that is uniquely suited to do the job. Two decades later, the marketing recruitment firm has retained its focus on premier talent in the marketing, digital, communications, advertising and creative realms. Twenty years ago, MarketPro was created with a vision for a better way to provide businesses in need of marketing expertise with top talent that is uniquely suited to do the job. Two decades later, the marketing recruitment firm has retained its focus on premier talent in the marketing, digital, communications, advertising and creative realms. MarketPro remains a nimble woman-owned business owned and operated exclusively by former marketers who have hands-on experience in the field. A lot of factors have influenced MarketPro's staying power in an industry where firms tend come and go at a rapid rate. Consistent vision and leadership have provided a strong foundation and steady focus. The business has grown with a relentless focus on perpetual improvement. Outstanding results for clients of all shapes and sizes have built a reputation for success and keep them returning time and again when new talent needs arise. And a tightly-knit team bound by a culture of accountability and respect drives the MarketPro staff to perform and keeps them excited to come to work. The talent provider considers this birthday a symbol of stability and ability to change along with the pace of marketing. MarketPro has evolved a lot in the last 20 years, and its list of service offerings has grown to match. The firm now provides clients with a variety of recruitment and flexible workforce solutions including marketing staffing, marketing executive search, interim marketing leadership, recruitment process outsourcing, and contract-to-hire options. MarketPro Inc. is a woman-owned marketing executive search and marketing staffing firm founded in 1996. Headquartered in Atlanta, the nationwide recruitment agency matches high-performing marketers with clients who need their skills and experience to take their business to the next level. MarketPro has former marketers finding and vetting the talent, so only the best get through to our clients. Learn more at https://marketproinc.com. 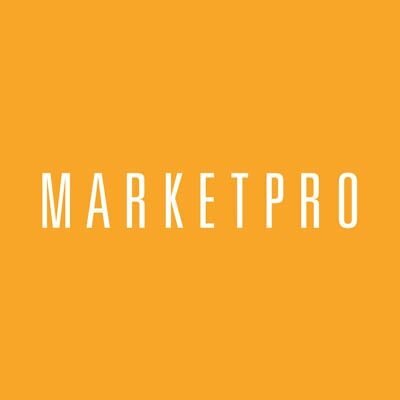 MarketPro, Inc., leading Atlanta marketing recruiterMarketPro is a nationwide marketing recruiter and marketing staffing agency, matching high-performing marketers with clients who need their skills and experience to take their business to the next level.